Most personal injury law firms have some experience handling car accidents and other motor vehicle collisions. At The Garvin Law Firm, our Fort Myers car accident lawyers have more than 40 years of it, and we consistently secure substantial results for our clients. 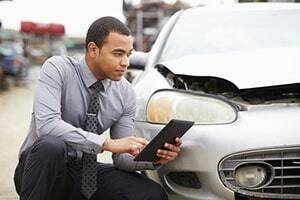 Florida car accident injury claims are somewhat unique compared to many other states because we have something called a no-fault auto insurance system. As it stands, we’re one of only a dozen states that uses this kind of system. The basic idea behind it is that policyholders can recover financial losses from their own auto accident injuries – no matter who is at fault. It restricts one’s right to sue the at-fault party in a collision to circumstances involving serious injury and death. The first-party benefit coverage is known as personal injury protection (PIP). Florida’s no-fault auto insurance law, F.S. 627.7407, allows for coverage of a portion of medical expenses and lost wages – up to $10,000 – to be paid to the policyholder, passengers and resident relatives (and in some cases, an injured bicyclist or pedestrian) following a crash with injuries. If you have ever been seriously injured in a crash, you know that $10,000 can go quickly. When you’re looking for the best injury attorney in Fort Myers, you need to be certain they will help you receive maximum damages under PIP, and further explore the possibility of seeking compensatory damages from the at-fault driver and other defendants. What Does Florida PIP Cover? One of the most important elements of PIP coverage is medical benefits. The statute provides for coverage of 80 percent of all “medically-necessary” medical, surgical, X-ray, dental and disability benefits. These must be received within the first 14 days after the crash, and are limited to certain types of health care providers (i.e., orthopedic doctors, physical therapists, radiologists, general medicine, etc.). Although the limit on PIP benefits is $10,000, that assumes the injured person had an “emergency medical condition” as designated by physician or advanced registered nurse practitioner. If crash victim did not have an emergency medical condition, he or she will be limited to reimbursement of just $2,500. There are also disability benefits available if you are forced to take time off work due to injuries arising from a crash in Fort Myers. PIP will provide 60 percent of any loss of gross income and earning capacity suffered as a result of your injuries. You can also receive compensation for all reasonable expenses incurred in obtaining help from others with ordinary or necessary services you would have otherwise performed without income in your home. These benefits are payable every two weeks. PIP also offers $5,000 in death benefits for a fatality resulting from injury, illness, disease or death arising out of one’s ownership, maintenance or use of a vehicle. These benefits are in addition to those received for medical and disability under the policy. Insurers can pay these benefits to the administrator of decedent’s estate or to the deceased’s relatives. We should point out there are numerous authorized exclusions in PIP, which include injuries sustained by the insured and resident relatives while in a vehicle owned by the insured but not insured under the policy or for injuries suffered by someone operating a covered vehicle without the vehicle owner’s permission. Further, PIP coverage is subject to your deductible, as outlined by the policy. When Can I Sue the At-Fault Driver? As noted earlier, $10,000 often doesn’t go far in a car accident case with serious injuries. But you must first meet certain criteria before your attorney can pursue action against the other motorist. You suffered significant as well as permanent loss of a vital bodily function. You suffered permanent injury within a reasonable degree of medical probability (aside from disfigurement or scarring). You suffered permanent and significant disfigurement or scarring. Defendants have the right to challenge whether you’ve met these requirements, so it’s essential you are prepared and hire an experienced car accident attorney in Southwest Florida.